We are deeply shocked and saddened by the news of the tragic railway accident in Amritsar. 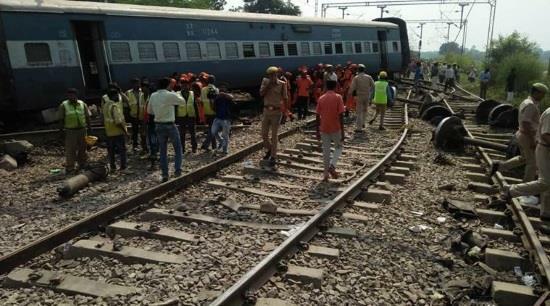 It is reported that over 58 people were killed and 72 injured after a speeding train mowed down people celebrating Dussehra near Amritsar on Friday evening. The incident took place at Joda Fatak level crossing where Dusshera celebrations were underway. According to reports, the incident took place when a large number of people were watching the Ravan effigy going up in flames while standing along the railway tracks. As the fireworks went off, some people, in order to avoid high flames, started retreating towards the tracks where a huge crowd was already standing to watch the event. However, two trains arrived from the opposite direction at the same time, giving little chance to people to escape. The Catholic Bishops’ Conference of India (CBCI) condoles the death of our brothers and sisters who met with an untimely death even while they were engaged in celebrating their religious festival. May God grant them eternal rest. Our hearts go out to the many families who are left inconsolable this evening mourning the loss of their dear ones. We participate in their sorrow and pray to the Almighty for comfort and consolation. May God grant complete healing to those injured in the accident. We assure our prayers and support to all who are engaged in providing relief and succour to the victims and their families. This tragedy once again underlines the need to enhance railway and road safety as well as enforcement of safety norms in the organization of celebrations as every life is precious and should be protected and safe guarded in every way.